American Dream Program Scholar, Alana Logan. As a new student of the program, Alana attended the Annual HeartShare St. Vincent’s Services College Sendoff Dinner. 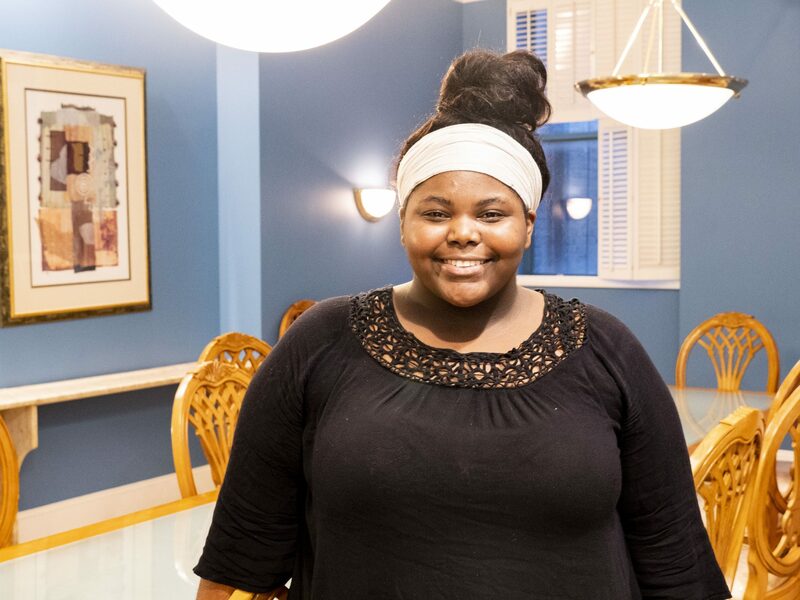 Alana Logan is new to the American Dream Program Scholar family. That means she received a suitcase at the Annual HeartShare St. Vincent’s Services College Sendoff Dinner on Wednesday, August 15. In late August, HSVS hosts a College Boot Camp at its office headquarters in downtown Brooklyn to prep scholars for the upcoming school year. From self care to time management, HSVS staff and a few guest speakers — this year adjunct instructors Junior Board Member Javier Seymour and HSVS Data Accountability guru Katie Brown — scholars participate in workshops readying them for a successful school year. The Sendoff Dinner is the closing event of the week and a celebration of scholars for their academic achievements. Each student receives a care package, this year filled with college and dorm essentials like an alarm clock, flash drive, Hamilton blender for healthy smoothies and more. New college students receive their goodies in a suitcase. 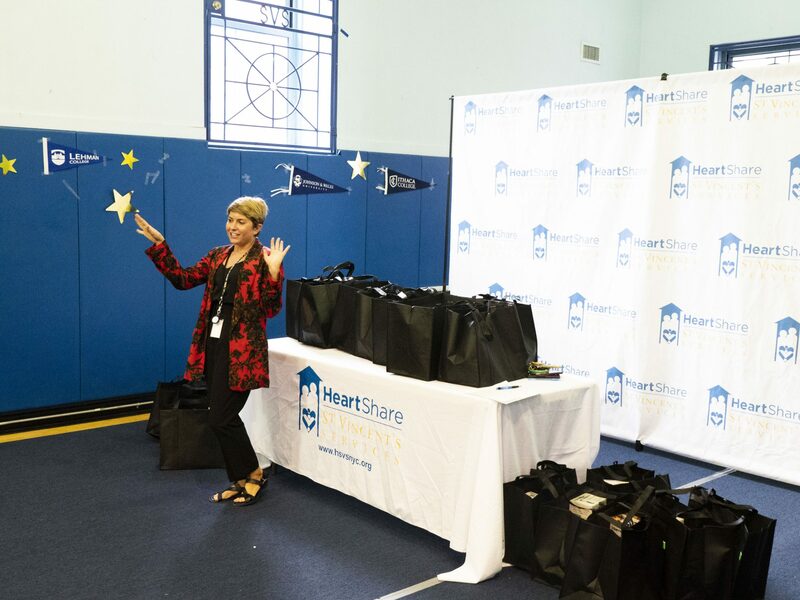 Senior Director of Education, Lauren Pettiette, preparing to hand out care packages to students at the Annual HeartShare St. Vincent’s Services College Sendoff Dinner. Alana is headed off to SUNY Onondaga in Syracuse, NY with the hopes of becoming a surgeon. “My grandmother who raised me passed away and that’s how I came into care. My grandma had early onset dementia towards the end of her life. I want to do brain research for a cure,” she explained. Registered for a pre-med chemistry specialization this Fall, Alana seems to excel in the humanities, as well. “When I was 13, I was accepted to a nonprofit legal education program at Brooklyn Law School. We learned how to dress professionally, review legal briefs and even did Mock Trial at NYU Law,” she said. The year long program was an investment after school and on Saturdays. To learn how to sponsor a student like Alana, contact lauren.pettiette@heartshare.org.